How do they do it? How do the New England Patriots win so much? Yes, Belichick is a genius. Yes, this system is the beneficiary of continuities at owner, coach, quarterback and players other teams can only dream of. There are lots of answers. Every football fan has pondered them. But here’s one I hadn’t heard of. On Get Up (ESPN), Dan Orlovsky said this about the Pats offense. “I don’t really believe that they have wide receivers or running backs. This Belichick innovation is something more than a clever adaptation. It’s exactly the kind of thinking we prize these days. It rises above the architecture of thought and solves a problem in a new way. This is a classic disruption, a veritable black swan. The opposition can’t see it coming until there it is on the field. Other coaches are prisoners of convention. They start with the positions specified by the age-old architecture of football. They find the players that fit these slots. And only then do they begin the work of strategy and execution. Has Belichick been reading Complexity theory? It’s possible. What does the Belichick disruption mean to the rest of us? Most organizations are slaves to convention. There’s the hierarchy that distributes power. There’s the division of labor that tells people what to do. We ask our personnel to conform to these conventions. Instead of turning them loose to solve the problem at hand. Why can’t we be more like the Pats? The photo is public domain. This entry was posted in Dynamism watch, Future watch and tagged Bill Belichick, Complexity theory, Dan Orlovsky, disruption, ESPN, Get Up, innovation, management, New England Patriots on November 2, 2018 by Grant. A note on style: I wrote this in a hotel room somewhere. I used Scapple from Literature and Latte to do it. It was really just a note to myself. But then I thought, “maybe this is a better, more visual, way to present the post.” Tell me what you think about the form as well as the content, please. This entry was posted in Uncategorized and tagged anthropologists, anthropology, CEO, CEOs, Charlie Rose, courtiers, Director, directors, ecospheres, Literature and Latte, management, museums, PBS, Scapple, Thomas Campbell on April 12, 2016 by Grant. The last few years, management thinking has been dominated by a big idea: innovation. And by this time a certain fatigue is setting in. Call it innovation exhaustion. Innovation is much harder than it looks. And even when we get it right, it proves not to answer all or the biggest of our problems. The biggest of our problems is not that we need to take a constant flow of innovations to market to win share and fight the competition. Though, of course, we do. The biggest problem is that in the meantime we must live in a world that bucks and weaves with disruption, surprise, and confusion. In fact, we can innovate constantly and well, and still find our organization at sea. I think innovation arrested our attention because it looks like a good way to make ourselves responsive to a dynamic, increasingly unpredictable world. It was all part of that management philosophy that said is that the best way to manage the future was to invent it. Recently, I’ve started to wonder whether the proper object for our attention should be adaptation. This is the study of adjustment that interacts constantly with strategy. Innovation is hard. But adaptation is in us. It is perhaps our great and defining gift. 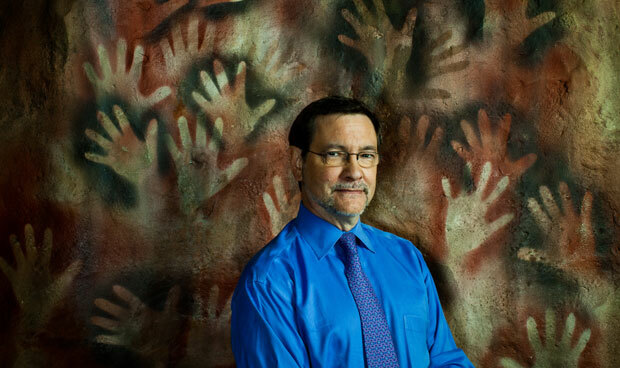 Rick Potts is director of the Smithsonian Institution’s Human Origins Program and curator of anthropology at the National Museum of Natural History in Washington, D.C. He argues that adaptability is the secret to our success. This feels like an old story but in fact it resists conventional wisdom. We are inclined to tell our story as if we (and it) were inevitable. It’s a kind of presentism, as if nature conspired to produce us, and that this evolutionary development could not have been otherwise. But Potts points out that there was nothing inevitable about our rise. There were several hominid trials underway. Our numbers were tiny, competitors were formdidable, and the environment changed radically. Homo Sapiens was always an endangered species. Why did we survive and thrive against the odds? Why us and not someone else? It is, Potts says, due to our gift, our particular genius, for adaptation. Thanks to Jill Neimark for the article in Discover Magazine. Find it here. And to Stephen Voss for the magnificent image. This entry was posted in innovation watch and tagged adaptation, change, disruption, innovation, innovation exhaustion, Jill Neimark, management, Rick Potts, Smithsonian, Stephen Voss on April 3, 2014 by Grant.